Pleasure for the Empire: Payout! 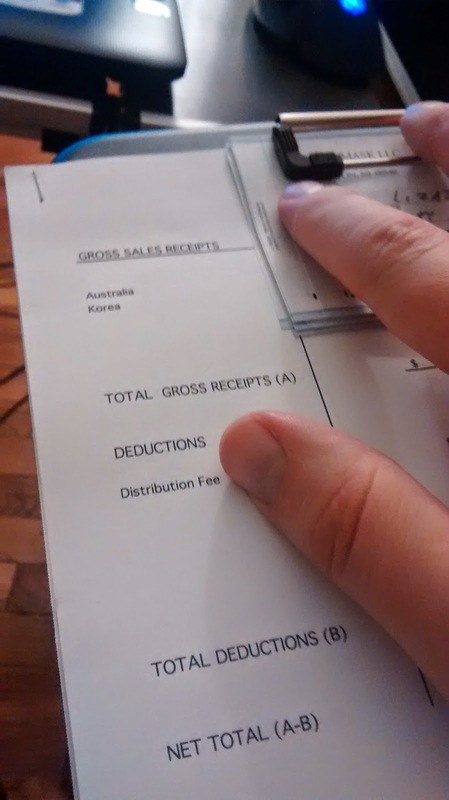 So we got a payment from a couple sales on Friday and looking at the report I realized we'd actually gone above our arbitrary amount of money after which we start paying actors and editors and writers and stuff on the movie Android Insurrection. And I'm really kind of tickled to be able to start paying that "deferred" money. You know, "monkey points". Well the monkey is here and he has a banana for you. This is where the analogy breaks down. Look. Nobody's getting rich. Most of the checks I'm writing are for less than a hundred bucks. To be in the black like this is something, as a producer, we're really proud of. We hope there are many, many more checks to write.